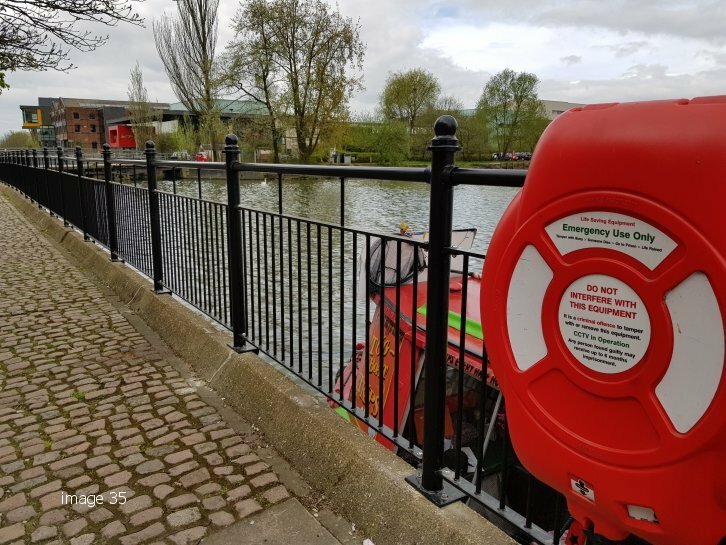 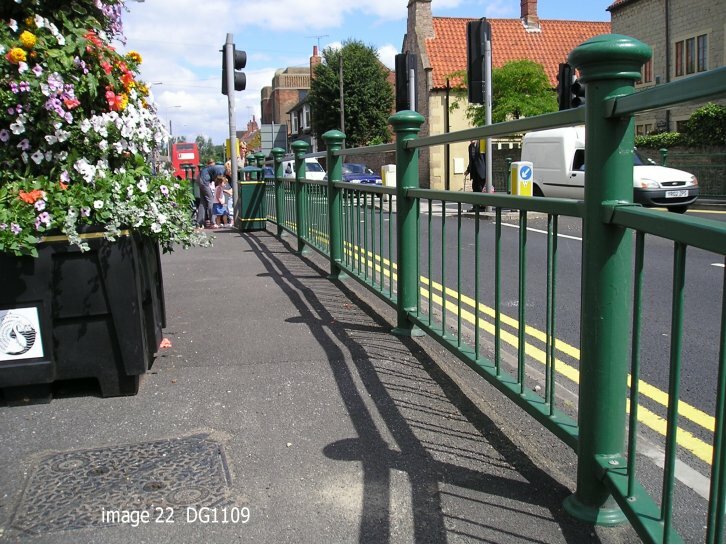 Many cities and town centres have had their appearance improved by the introduction of decorative railings and other aesthetically pleasing street furniture such as pedestrian guardrail, bollards, bins and signage. 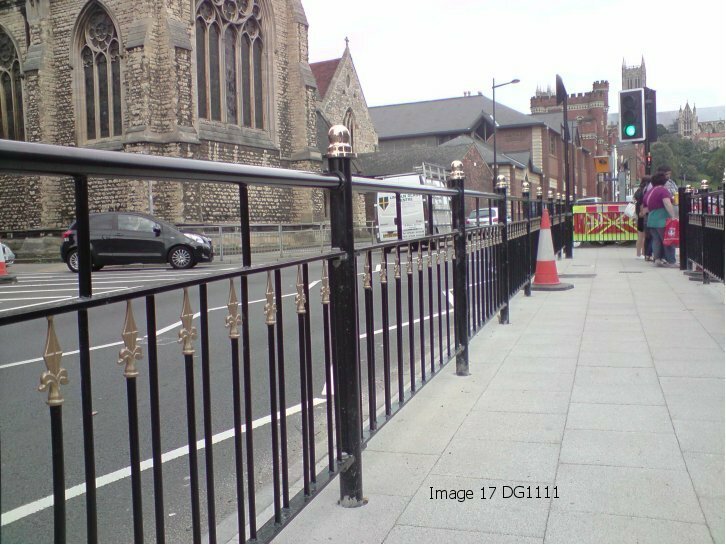 Alpha Rail is able to manufacture decorative railings and guardrail systems with added features such as decorative posts, rings and finials. 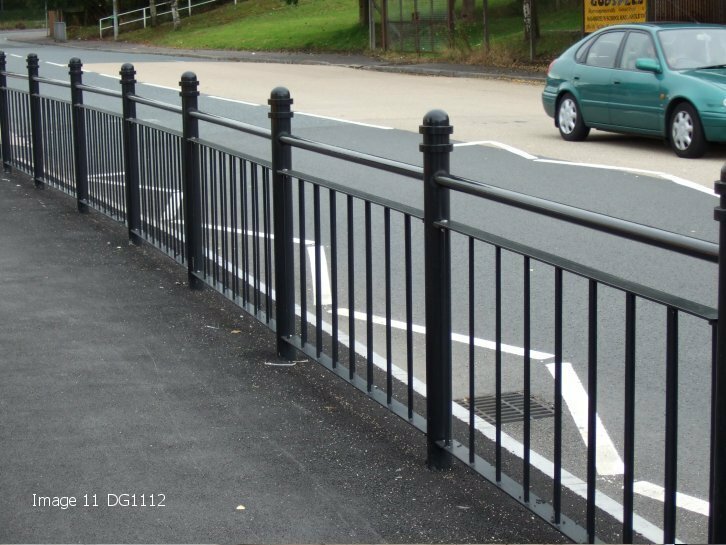 Some typical examples are shown below, or alternatively we can fabricate custom made products to suit any individual theme or requirement. 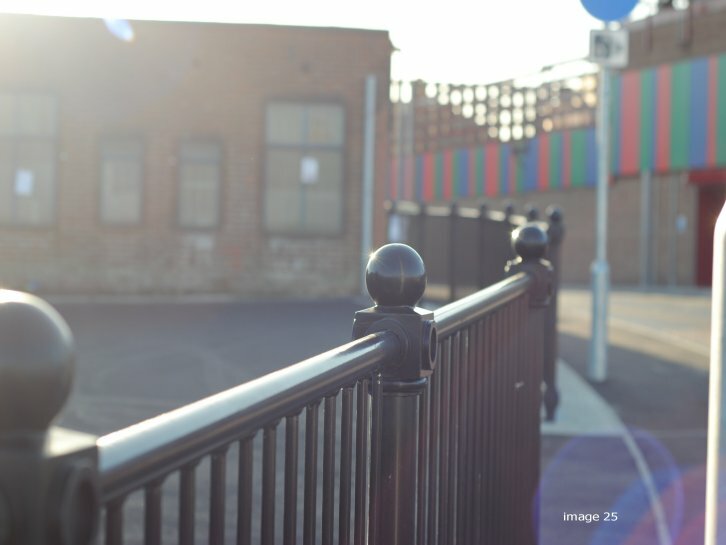 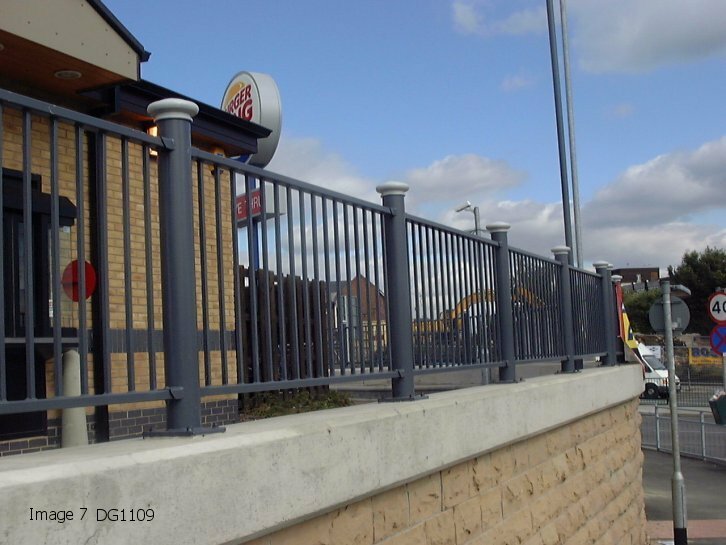 We can manufacturer bespoke decorative railings to a unique design or select from a choice of models from our range of metal railings or pedestrian guardrail systems. 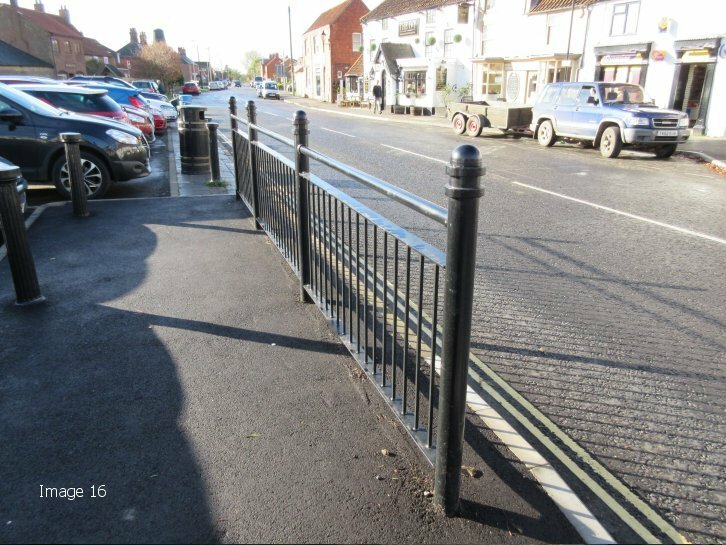 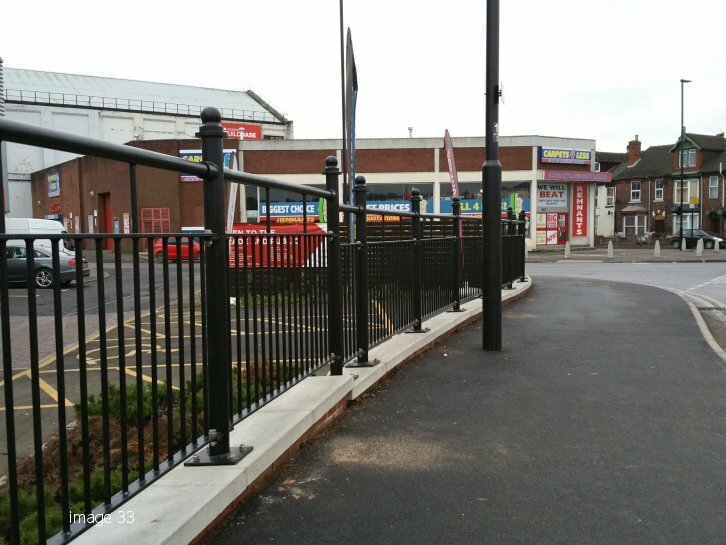 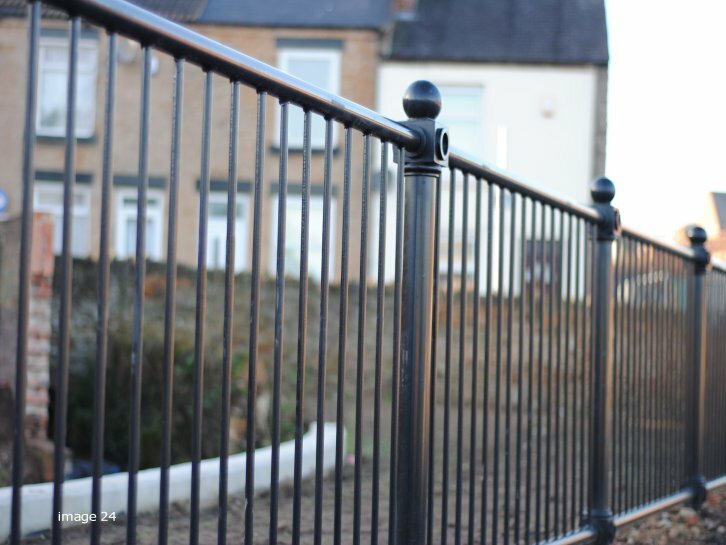 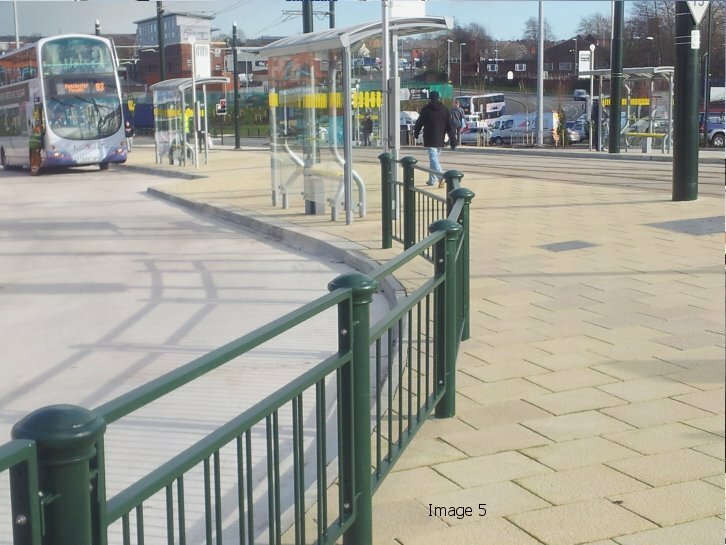 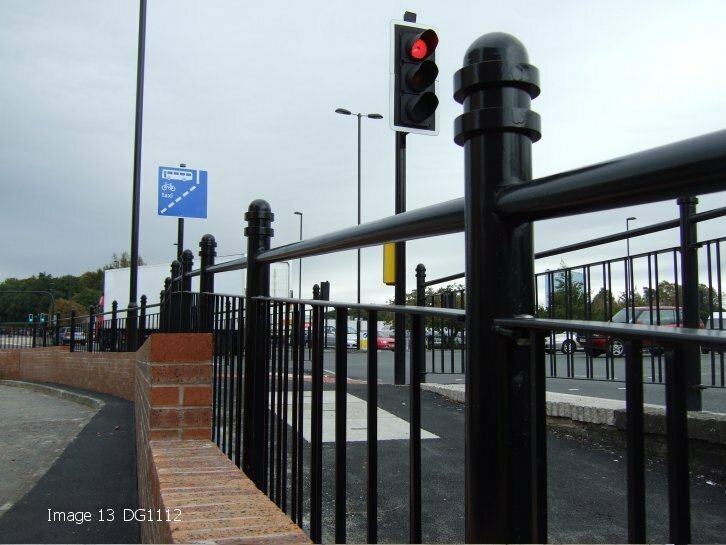 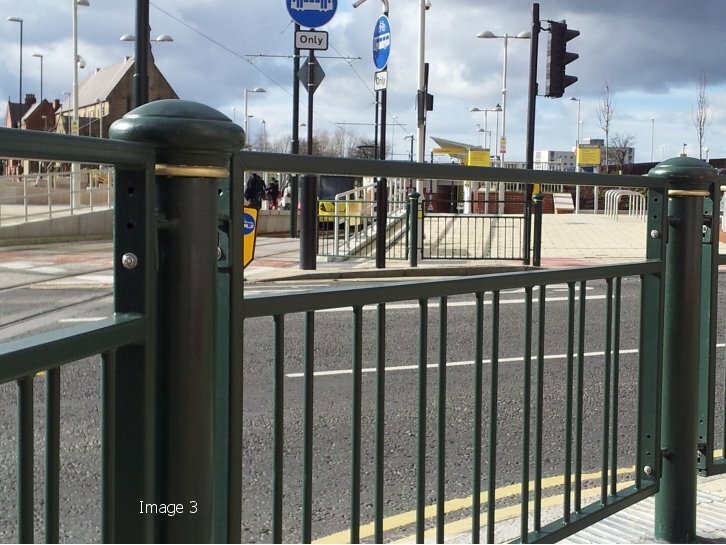 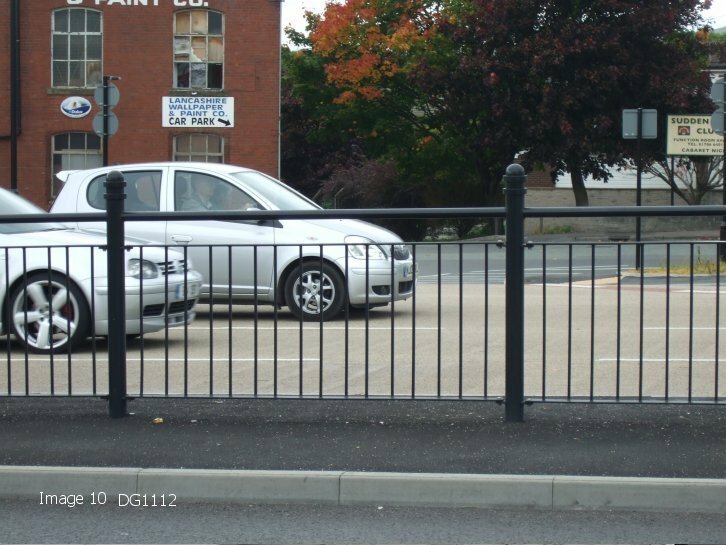 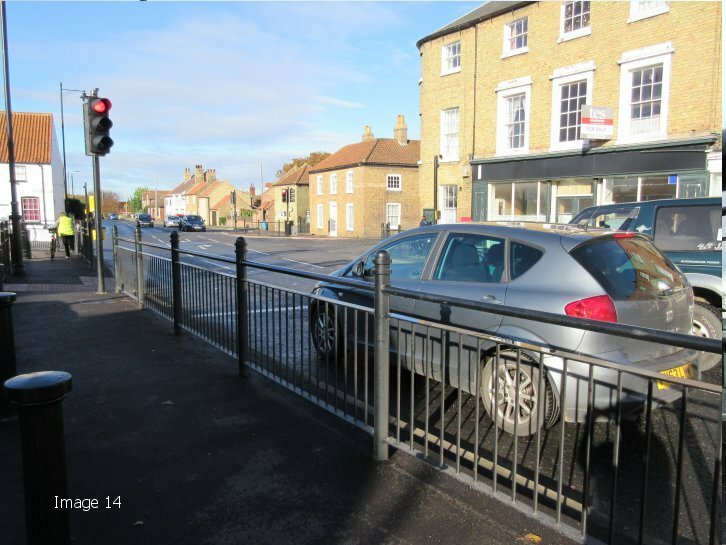 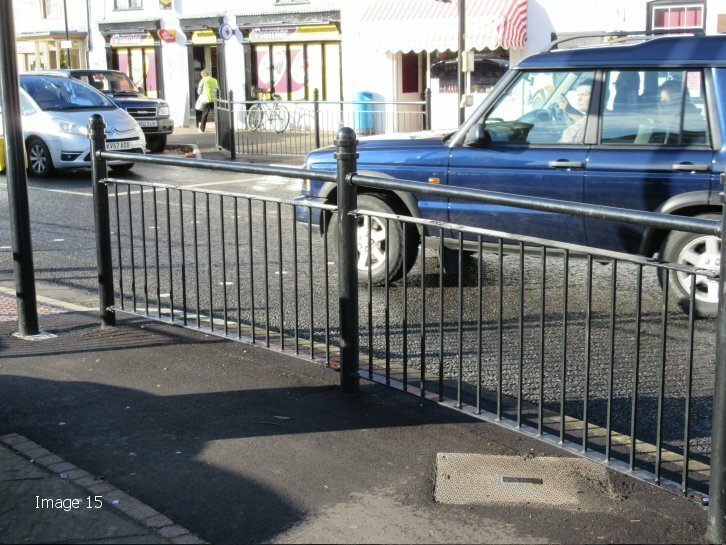 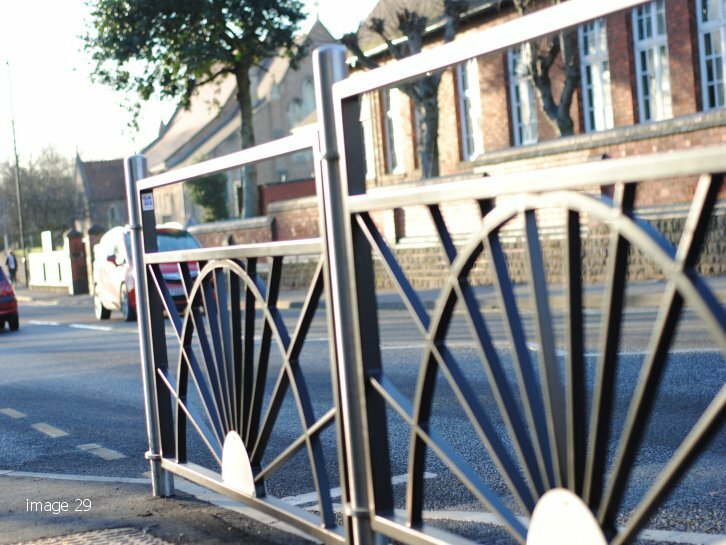 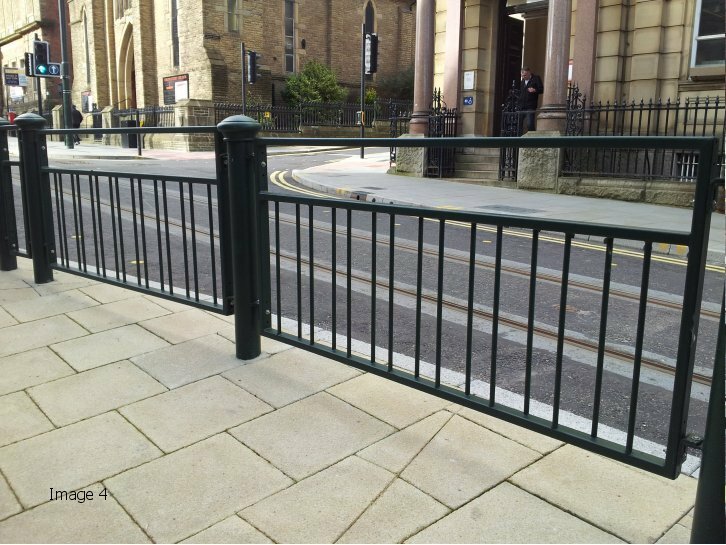 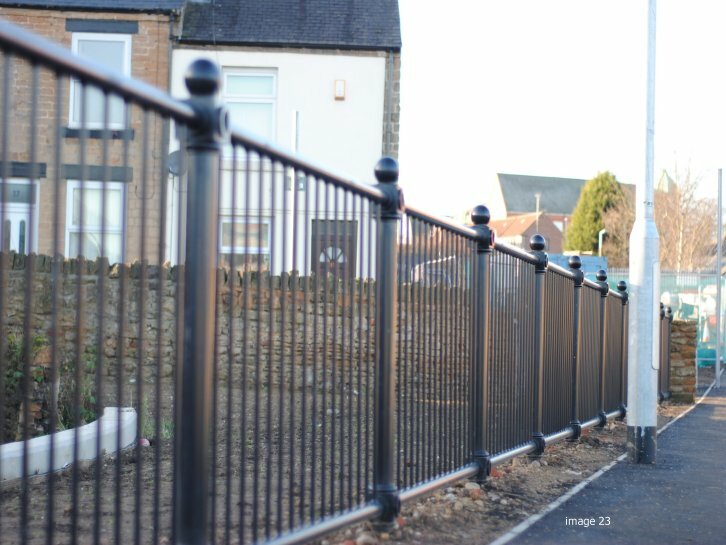 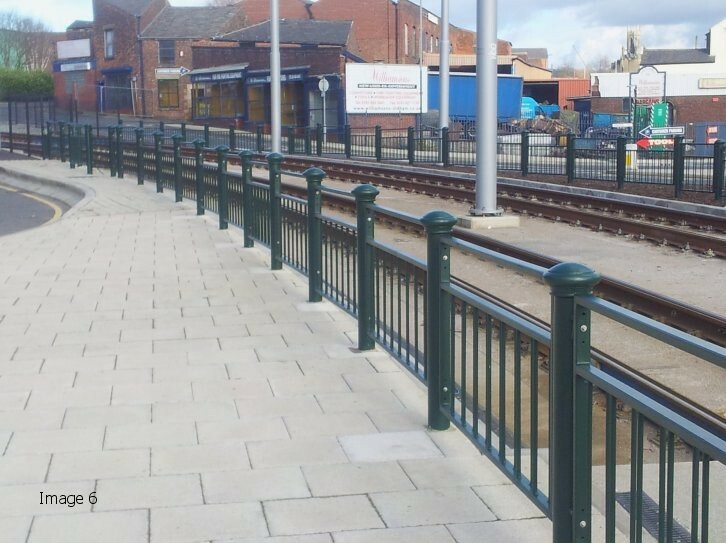 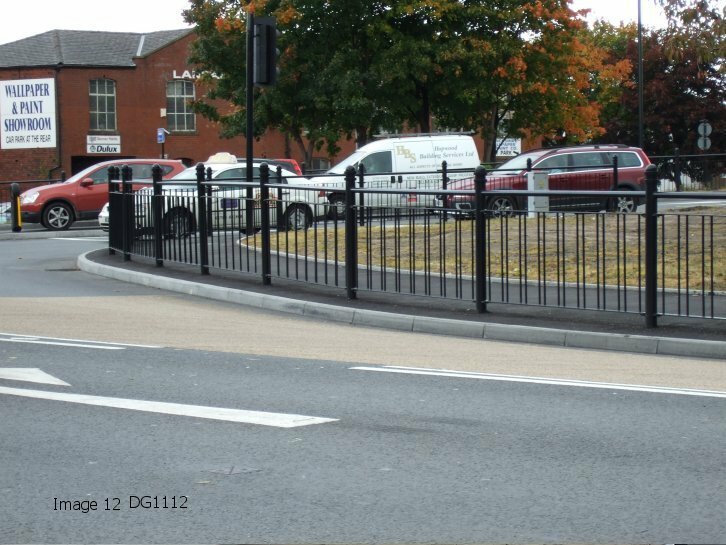 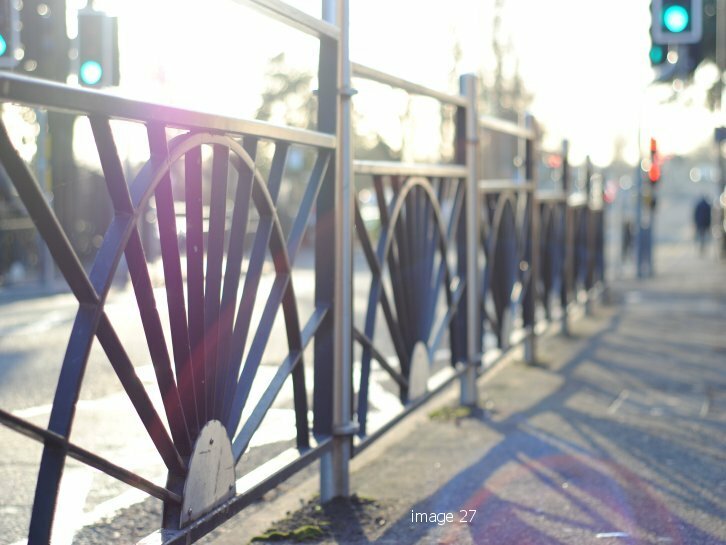 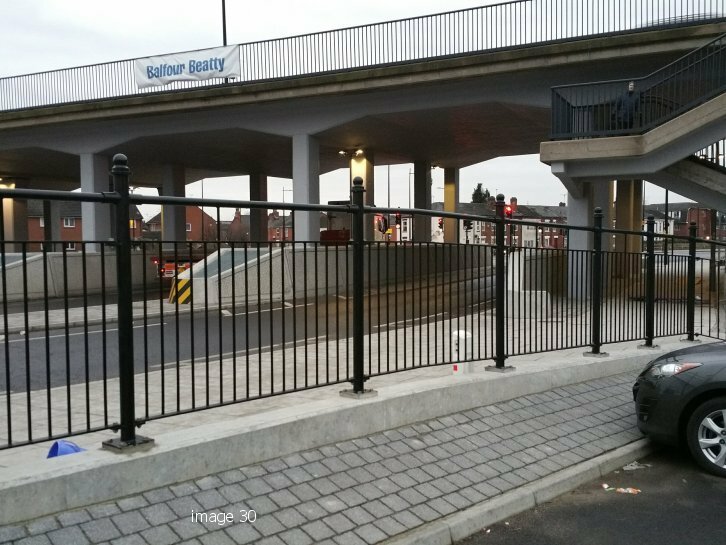 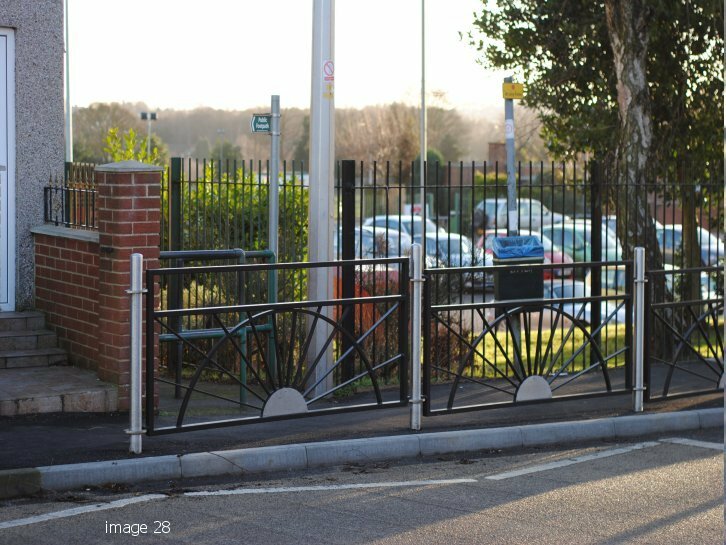 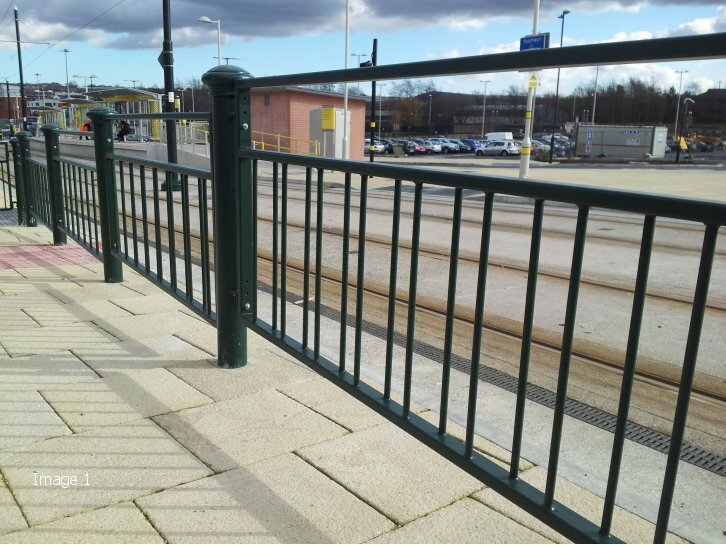 As well as our trademarked Optirail system, Alpha Rail also manufactures Decorative Pedestrian Guardrail that are suited for use on roads with lower speed limits around town and city centres. 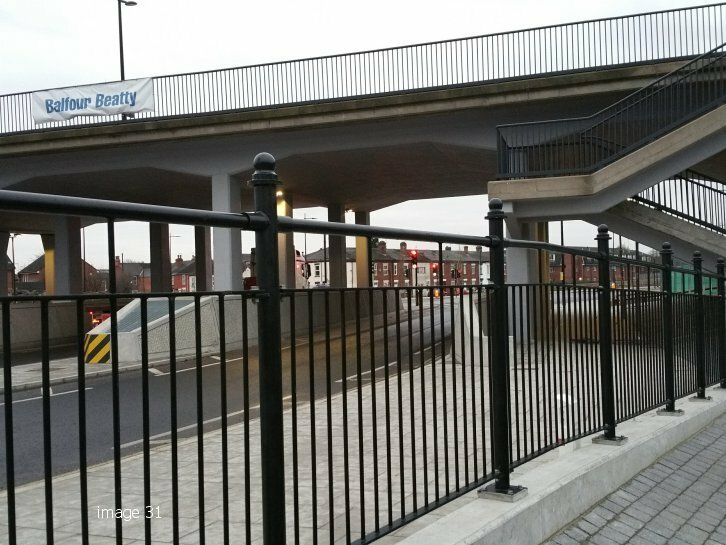 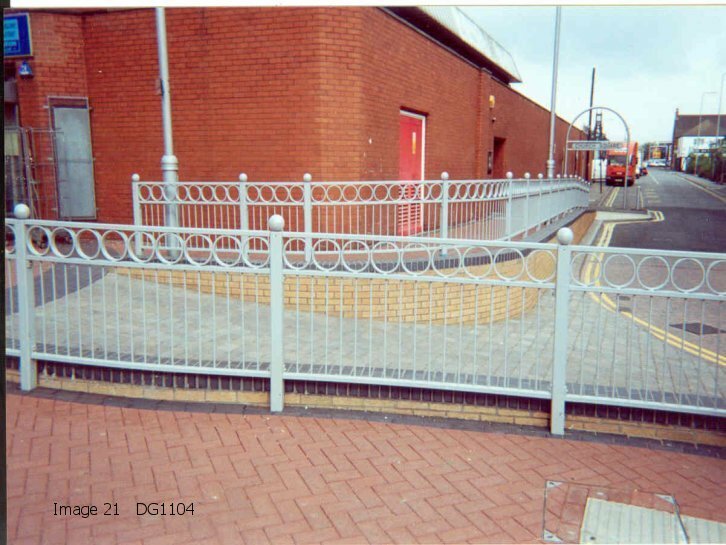 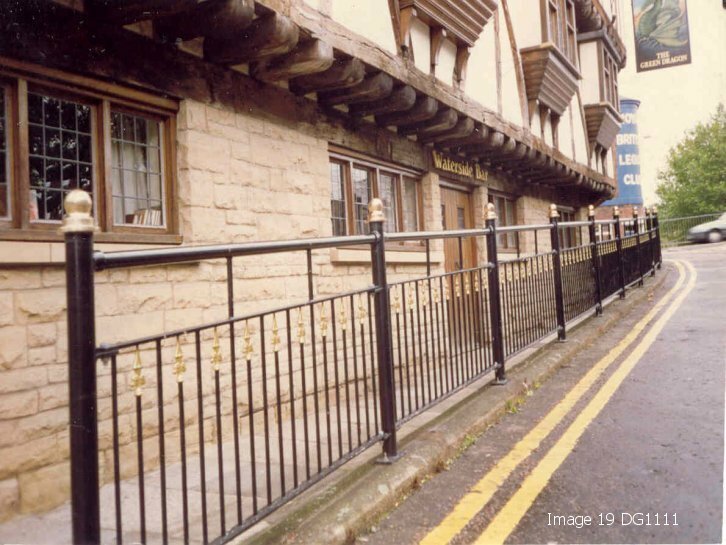 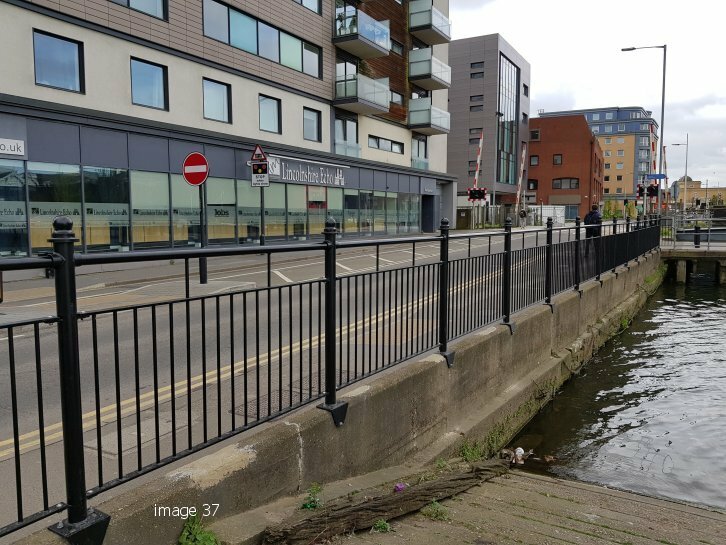 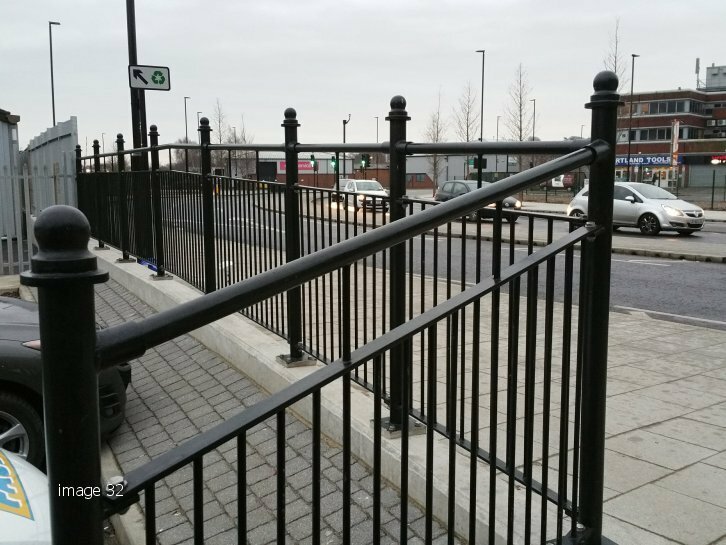 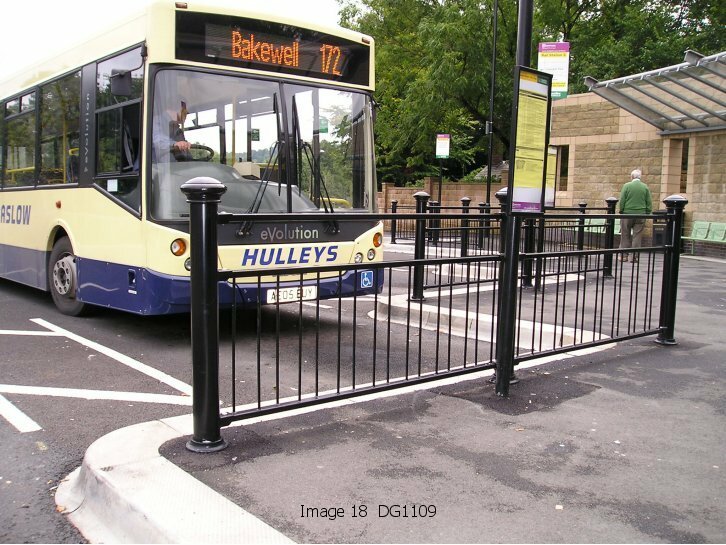 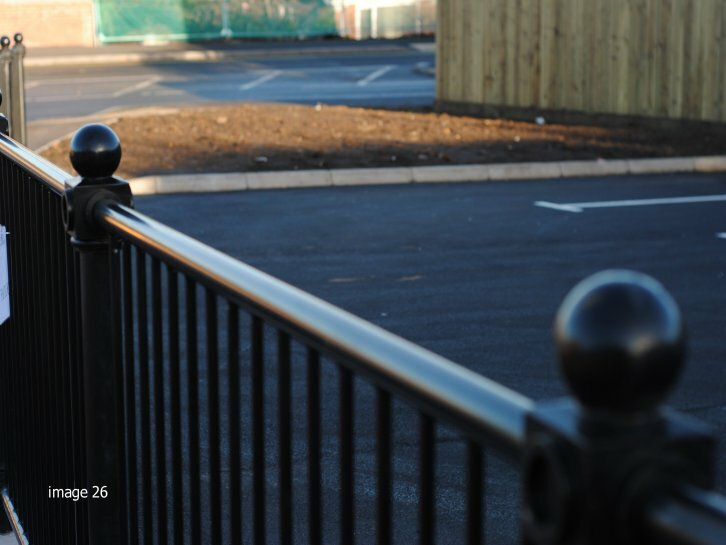 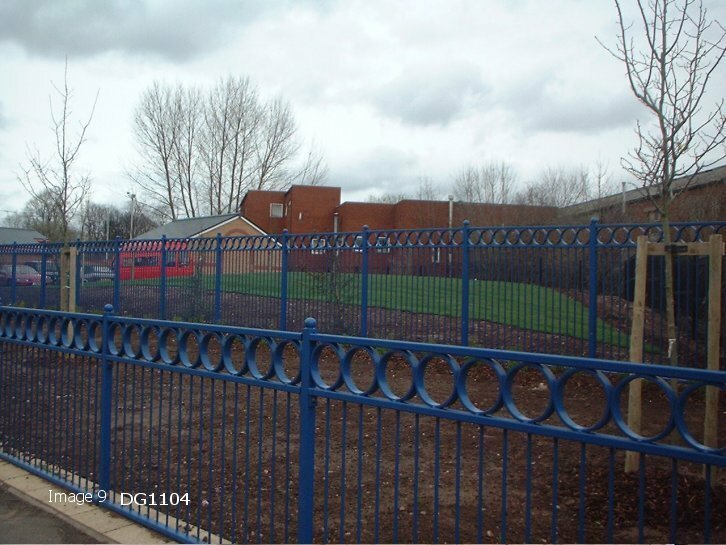 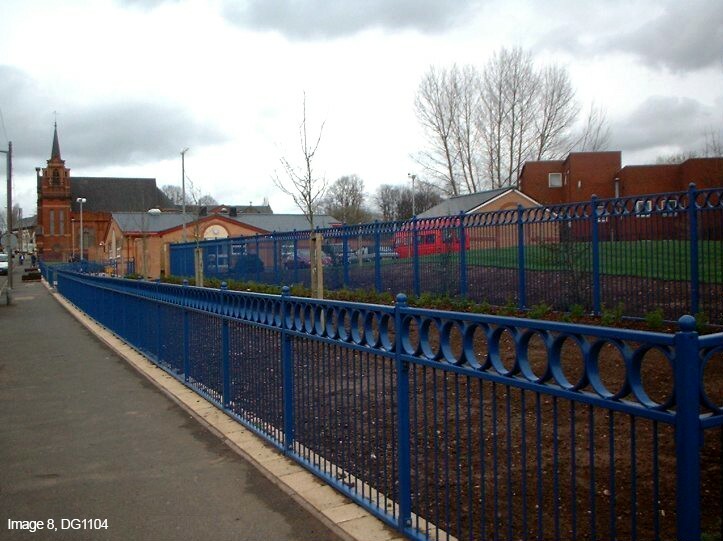 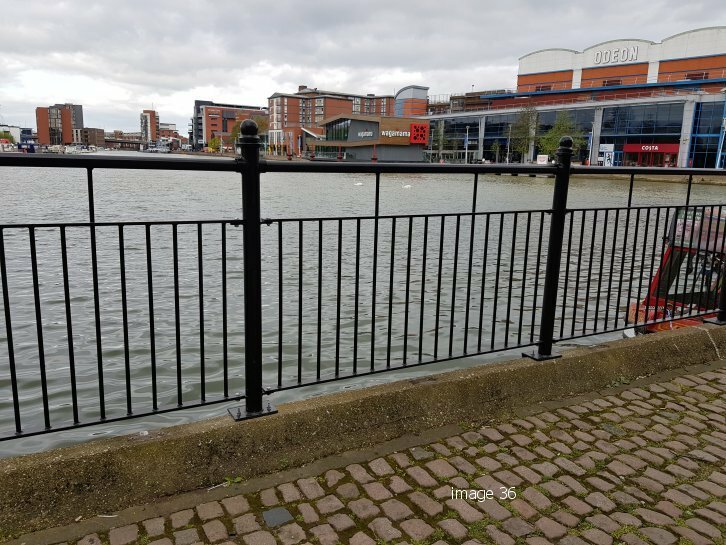 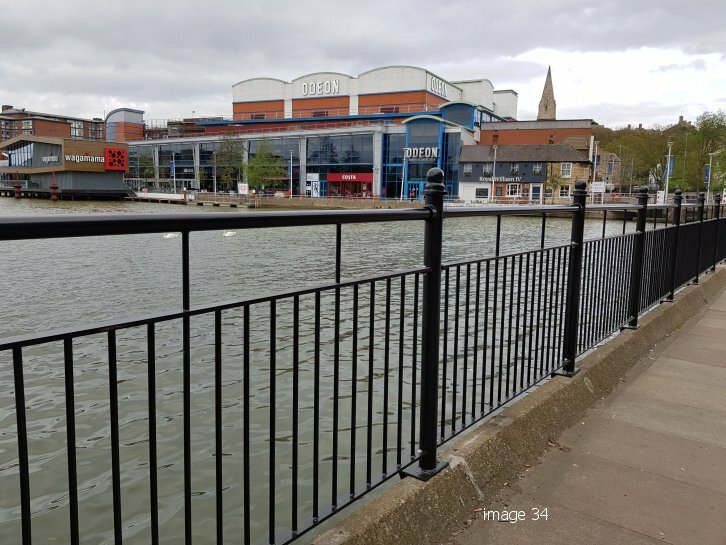 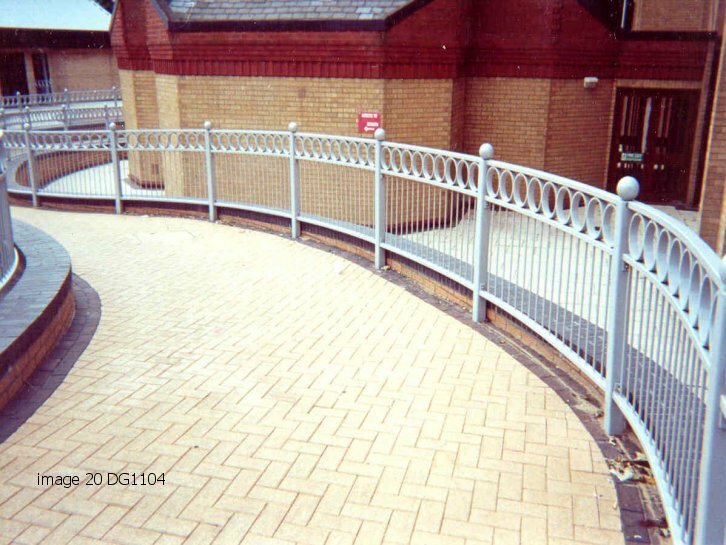 This guardrail is often specified on projects where appearance is a more determining factor and the railings will also smarten up the appearance of pedestrian areas. 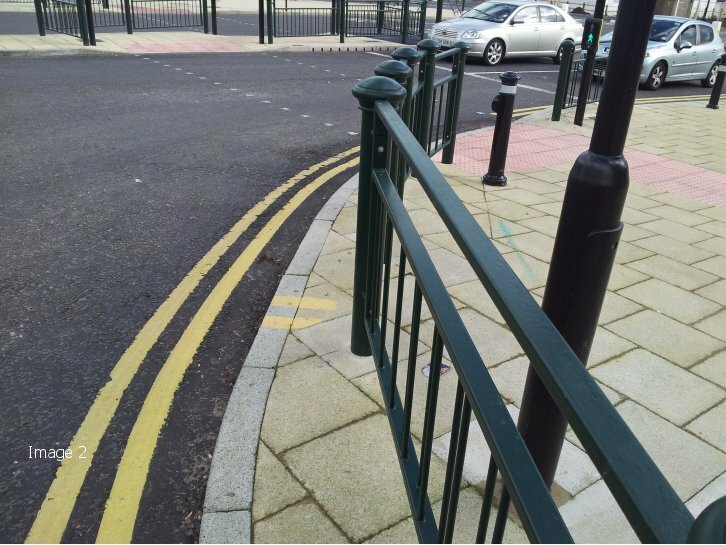 Decorative posts, rings and finials that match other street furniture such as bins and bollards can also help to give a more unique and defining identity. 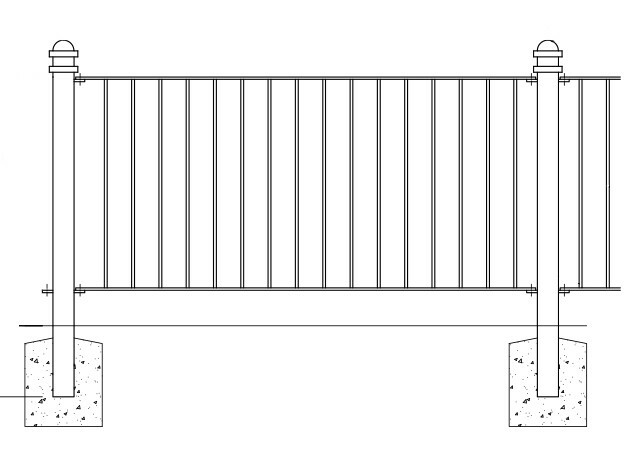 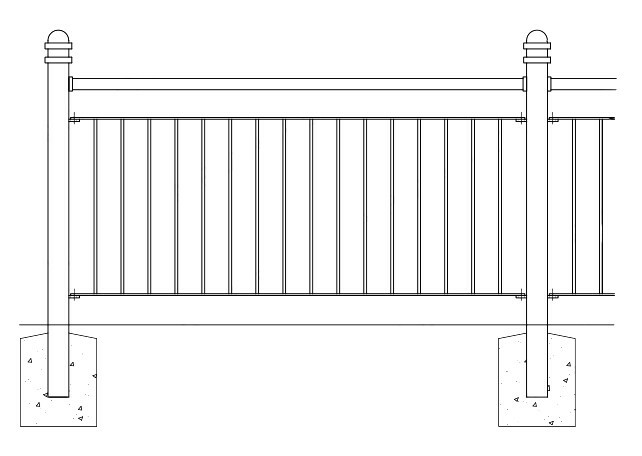 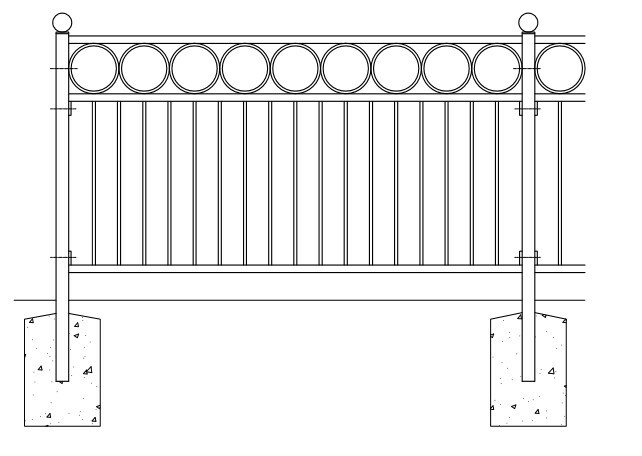 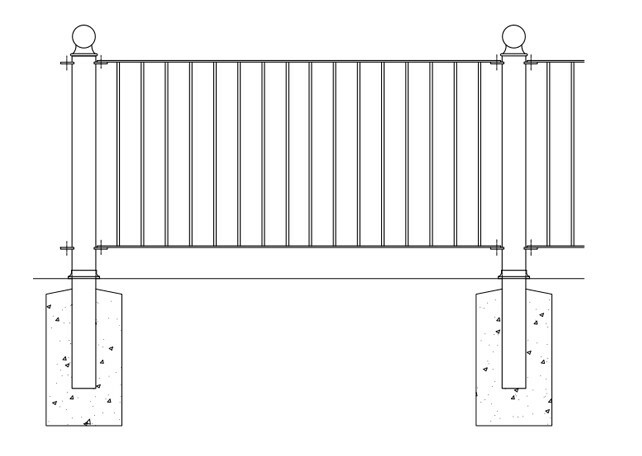 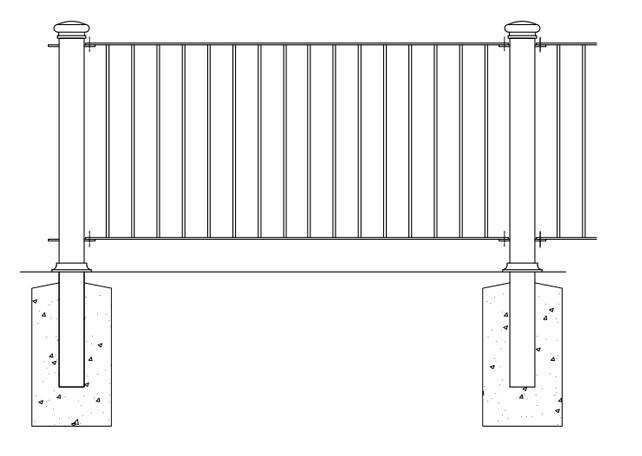 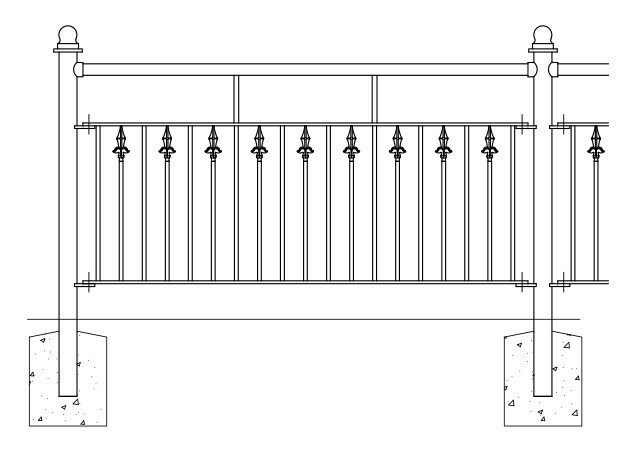 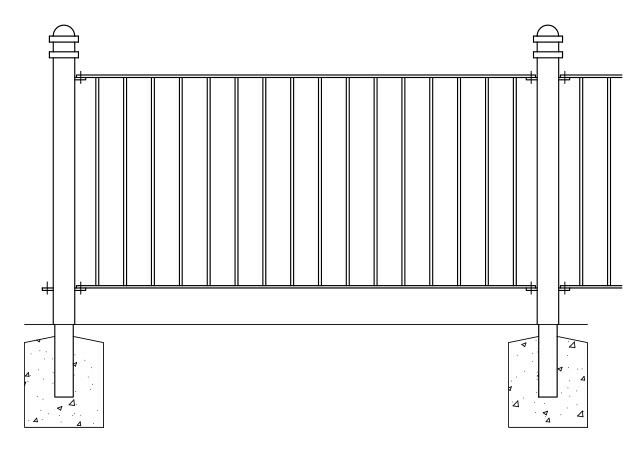 If you are specifying metal railings on your next project, please visit our technical drawings section. 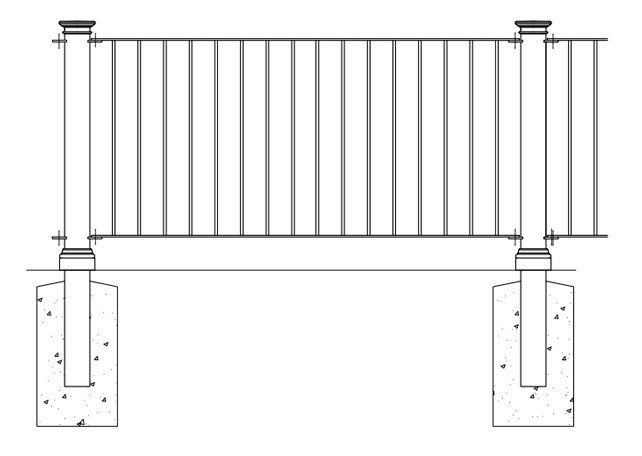 Anti-spam: What is 10 plus 10?